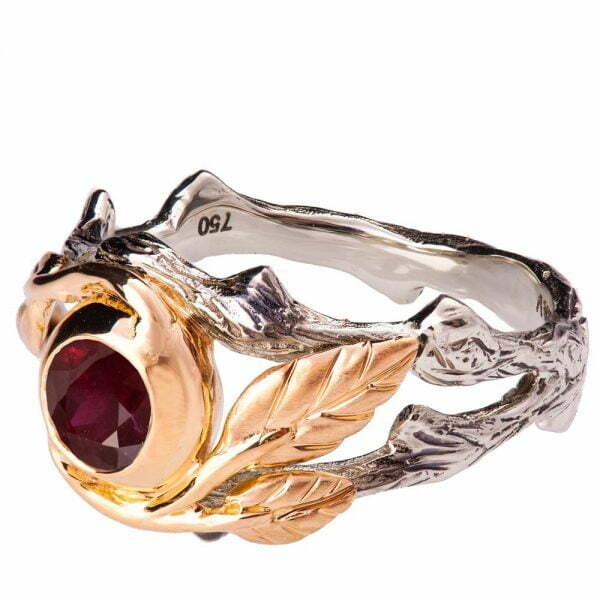 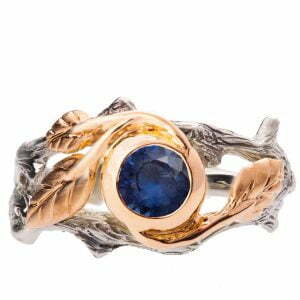 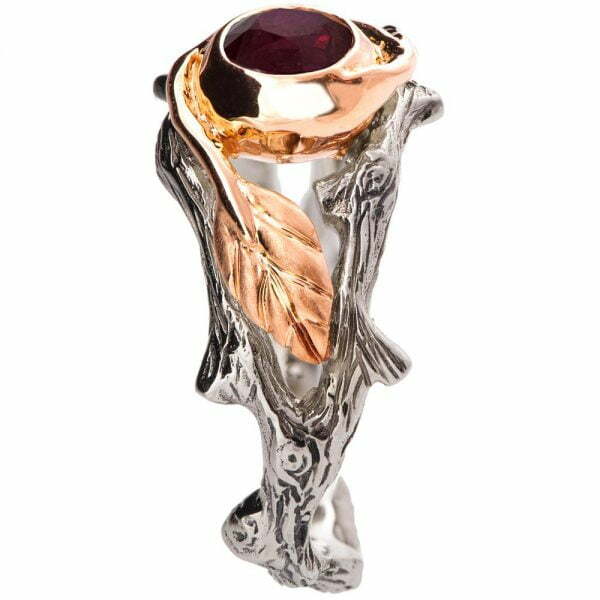 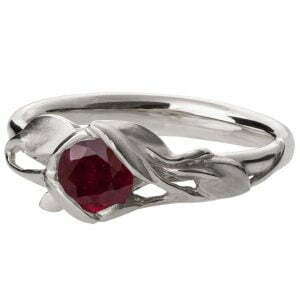 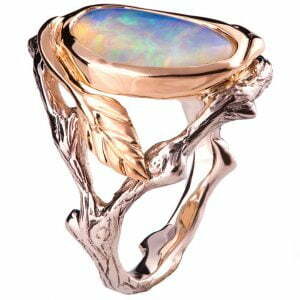 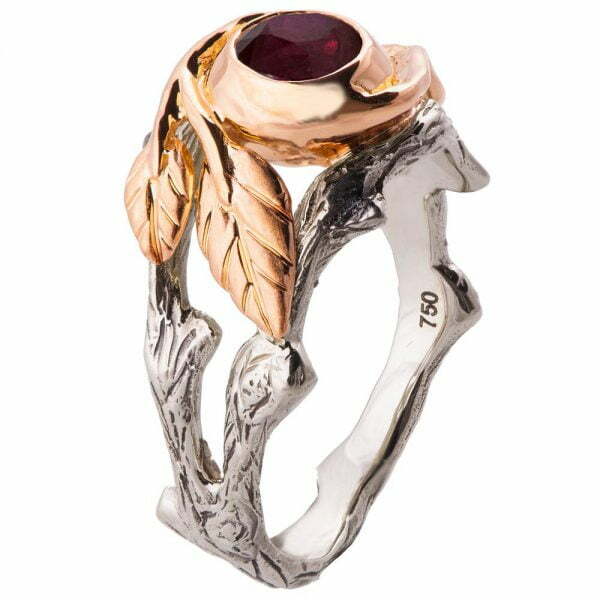 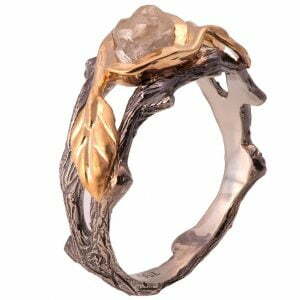 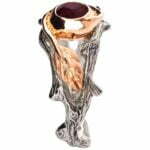 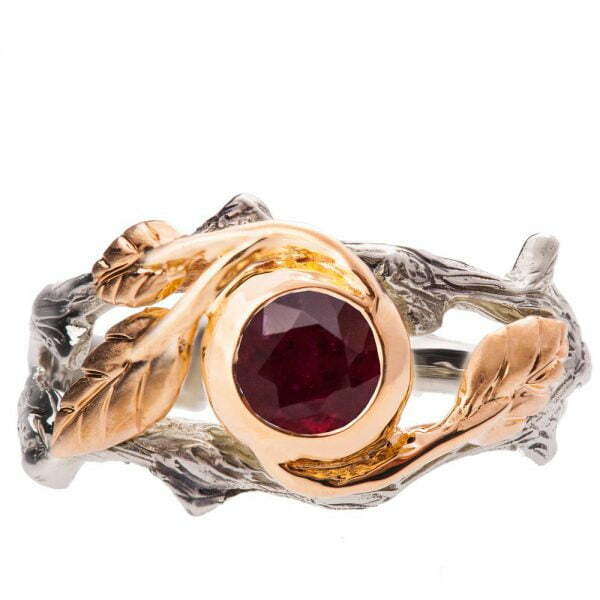 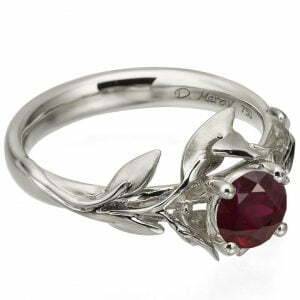 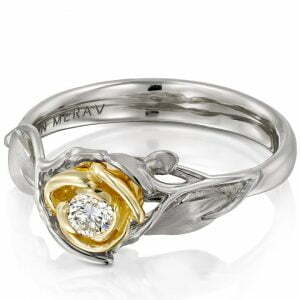 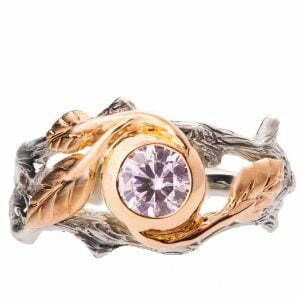 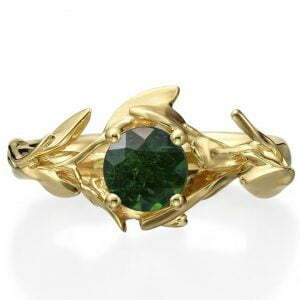 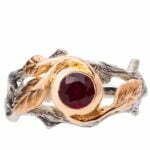 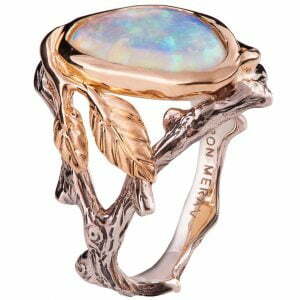 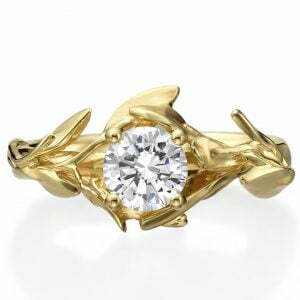 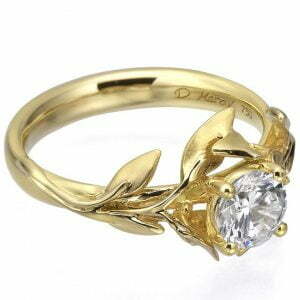 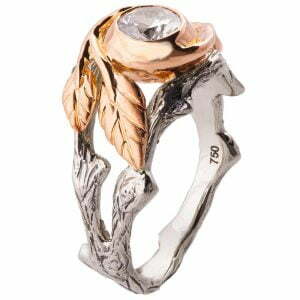 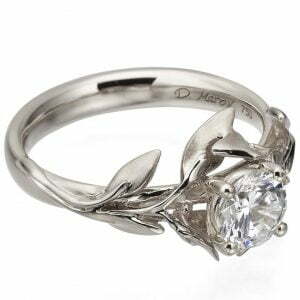 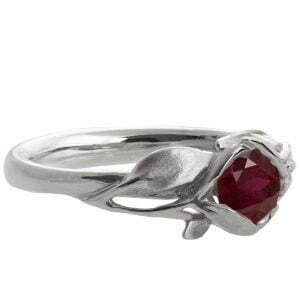 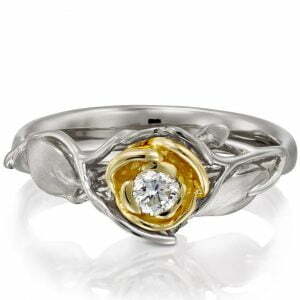 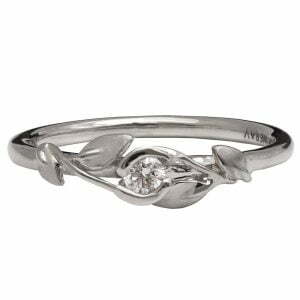 A handmade twig and leaf ring made in two gold colors and set with a ruby. The pictured stone is a 5mm ruby. 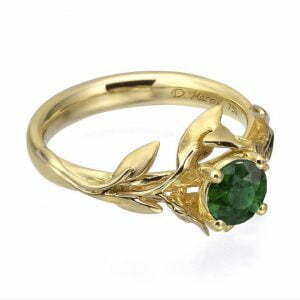 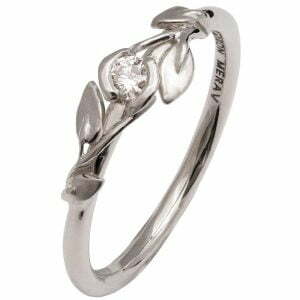 This ring pictured is about 10mm wide at the widest point. 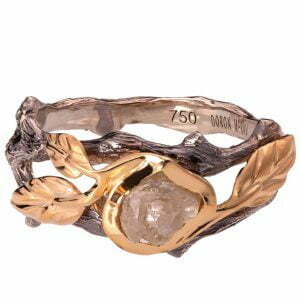 The band is about 2.8mm wide in average in the back.